No matter what the form or purpose of writing—whether academic, novel, blog, etc.—research is not only practical but also necessary. In fact, solid research grounds any form of writing. Since you aren’t simply stating an opinion off the top of your head, your words will hold truth. And truth is powerful. Even in the various fiction genres, including sci-fi and fantasy, it’s the true bits that add color to the story and make it compelling. Moreover, research fills in knowledge gaps, rids your writing of unhealthy absolutes, and strengthens your critical thinking processes, which in turn affects how and what you write. Learning how to perform research, then, is crucial to developing as a writer. Research is not something we instinctively know how to perform, and, like most things worth knowing, it takes time to develop the necessary discernment between what’s good information and what’s not. Thanks to the pervasive nature of the internet, all of us have a basic grasp of how to perform an online search, but there’s a vast difference between googling “travel tips for safaris” and researching to learn something well enough to write on it convincingly. It’s the difference between wanting to know more about Roswell UFO sightings because I’m a little interested in aliens and deciding to write a novel set in Roswell during 1947 or writing a scholarly piece on the sociological role Roswell has played in the belief of the existence of UFOs in the United States. While the first definitely encourages the latter two, it will not offer enough credible or reliable information to write anything that is not based on rumor and speculation. The difference between a reliable source and an unreliable source is the difference between truth and make-believe. Unreliable sources are filled with skewed data, unchecked “facts,” and leaps of reality. Alternately, reliable sources generally maintain high standards of scholarship and factuality. Once you begin to research your topic—be it Batman or Einstein—you’ll soon be able to compare and contrast the differences in the nature and quality of information. However, the best way to begin judging facts versus opinion is to (1) examine the author’s background in the field, (2) note whether the author is making unsupported assertions or wild leaps in logic (ex. “So-and-so spoke fondly of this person, so they obviously had an affair,” or, “Since we can’t see gravity, it doesn’t exist”), and (3) question the source: does it come from a reliable publisher, scholarly journal, or site? Has it been peer reviewed? To begin researching, then, you’ll first need to narrow down your search terms. Let’s go back to Roswell for a moment and say I’m going to go ahead and write that novel. “Roswell” alone is too broad a search term. I will need to outline specifics of what I want and need to know (which, of course, depends on what I want to write). For example, I might need to know about life in 1947, the Air Force, the investigation, etc. I’d also need to decide who my main character will be, and fill in background information on him or her. Will he or she be a journalist, police officer, or a bobbysoxer? What were each of these people like, what were their mindsets, how did they speak, what would their daily activities be? If I chose to write the scholarly piece, however, I’d not only need to know the history of supposed UFO crashes and sightings but also how Roswell became known as a UFO crash site. What projected the incident in Roswell from a small-town event at the back of the public consciousness to a full-blown “government conspiracy,” and so on? Since my study would be from a sociological standpoint, I’d need to find confirmed reports and interviews of persons affected by the phenomenon, including well-documented case studies and research. Once you’ve narrowed down your key terms, it’s time to perform multiple searches in research databases, library catalogs, and on the Internet (particularly Google Scholar). Sift through the search results by titles, abstracts, and summaries. Since right now you’re only compiling data, it helps to create a desktop folder to save whatever you want to further investigate. Also, don’t stop looking after the second page of results. What may be most useful to you may not be in the top ten or twenty search results. Once that’s done, it’s time to start sorting through the articles. Glance through the first few paragraphs to categorize them according to their merit, such as “Useless” (which you trash), “Possibilities” (which may contribute to your research), and “Important” (self-explanatory). Once sorted, begin to read and highlight/underline and take notes. Note-taking helps you to process all that data and to assimilate ideas so as to generate your own perspective on the topic. On the whole, research is necessary and can be a very rewarding learning experience. Read everything with a grain of salt. People are imperfect—which is wonderful—but that means we make mistakes, draw wrong conclusions, and sometimes decide our opinions are gospel truth. Visit your local university or college libraries to access their research databases and locate peer-reviewed, reliable sources. When researching, be wary of getting lost “down the rabbit hole.” Gathering a lot of sources is good, but there’s such a thing as too much. Know when to stop—generally when you know what an author will say before he or she says it—and don’t let researching stop you from writing. Begin drafting what you can with the intent of returning later to flesh out what you don’t currently know. Now that you’ve written your query letter and performed your research on the different agents and publishers who might be interested in your story, you learn that some require a one page synopsis. Wondering what that is, you then do more research, discovering that this new task means concisely summarizing your 50,000-100,000 word story in roughly 500-600 words! At first glance, the task looks impossible, but it is not. Since the synopsis is a condensation of your completed novel, consider it an important step in getting your story published. If you don’t do a good job here, your novel will be passed over. The easiest and most productive way to begin drafting your synopsis is to outline your novel chapter-by-chapter. Then succinctly write down the “Big Picture” of your story (i.e. what it’s all about) in one to two sentences. Finish your outline by noting the motivations, problems, and end goals of the main character(s) and antagonist(s). Once you have all this down, divide your outline into the categories beginning, middle, and end, with an eye for the dramatic arc as well. 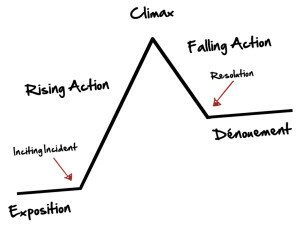 The dramatic arc depicts the chronological order of events that most narratives tend to follow and can easily be separated into beginning, middle, and end. The beginning section includes the introduction of the main character(s) and his/her/their problems, the setting, the antagonist (external or internal), and the inciting action. The middle then details all points of rising action. These are not subplots or minor details, but two or three main points of action without which the story could not reach its climax. Basically, these are the turning points in the story of action and in characters. Finally, your end section should include the climax and denouement (the unveiling and resolution, how everything ties together), with a mention of how your characters progressed. With your story outline completed, compile everything into an engaging summary. Since it’s a first draft, don’t worry about length, but instead focus on getting everything laid out. You can cut at a later date. Now, draft done, set it aside for a week or two. When you come back to it, re-read with the intention of revising for clarity and brevity. Since it’s only one page, make each word count. Make each word work hard for its place in your synopsis. You will most likely re-work entire sentences and the entire draft several times. This is fine and completely normal. In the end, it should read like an extremely brief, well-told and engaging version of your story. Once you’ve rewritten your synopsis and fit it into one page, take it to several other discerning, objective and honest people to read. If they are confused or bored, take note. Ask them for suggestions and weave their suggestions into your rewriting. However, if your readers love it, that’s great! It’s time to send it out. In the long run, synopsis writing can be challenging, but highly rewarding. It will help to hone your writing skills overall, as well as help to get your story published. Amazingly enough, you’ll probably write your query letter to agents and the handful of remaining publishers accepting unsolicited submissions more times than you rewrote the manuscript. Good thing a letter is so much shorter! A query letter is short—a mere 250-400 words consisting of a “hook,” summary, manuscript specifications, and an author biography. That’s quite a lot of information to convey in only a handful of words. Your ability to do so, and do so well, however, alerts agents and publishers to the fact that you are a stellar writer. Exactly what they’re looking for in fact. That’s why mastering query letter writing is so crucial. The first step is to transform how you think about writing. Instead of writing more, write less. Instead of adding, cut. The object of a query letter is to portray the essence of your writing—tone, style, plot, and characters for fiction pieces; and tone, style, problems, and answers for non-fiction pieces—in an engaging way that makes your readers want to bite. Just like in advertising. And, just like in advertising, you’ll begin with something that will pique the interest of someone inundated with query letters—someone reading hundreds or even thousands of queries a month. This is the hook, or “tagline” for your manuscript. Your tagline should be a short statement or rhetorical question that causes your readers to think, Hm, I might like to read that. Let me look into this some more, just as the taglines on a movie poster make you want to check out what a movie is about. So make your tagline both memorable and interesting. Also, make sure to include the title of your novel. Just like commercials frustrate viewers when they don’t know what the product is until the last second, a tagline without this important bit of information leaves your readers floundering. From the hook, you move into the summary. Calling it a summary is somewhat deceptive, as it is more like the blurb on the back of a book than an unimaginative summary you’d read on Sparknotes or Wikipedia. Remember, this is advertising, and you’re trying to persuade someone to read your book. So go and look at the blurb that caused you to pick up the stray book that became your favorite. Generally, blurbs reveal just enough about the characters and plot to emotionally connect a prospective reader to what’s happening, or mention enough of the findings and writer’s tone to whet a reader’s curiosity to know more. Your summary, then, should walk a fine line between too little and too much information, while at the same time, conveying the tone of your manuscript. Now you’re on to book specifications. This includes the title, word count, and genre of your manuscript. You need all of these items as they explain to the agent or editor reading your query that this is something they’re interested in and have a market for. (Hint: If they specify word count, make sure yours is within the range, and so forth.) Additionally, try to pull out some comparable stories. What books, TV shows, movies, etc. influenced your writing and tone? Is your book Rick Riordan meets Die Hard? If so, state that. Have you answered the question that millions of people are asking about why the chicken crossed the road? Good, give those stats. Publishing is, after all, a business, and agents and publishers need to know that there’s an existing market for what you’ve written. Finally, you need to provide a short biography, which tells agents and publishers why you’re qualified to write about what you’ve written. This does not mean telling them about the essay contest you won in fifth grade, but instead briefly outlining your current writing credits and background (as it applies to your manuscript). If you have no such credits yet, you can always begin to develop them by submitting articles or short stories to credible magazines, journals, contests, etc., or simply forgo writing a bio—although this is not recommended. Overall, writing a query letter is quite challenging, but it is also rather fun. Especially when you know you’ve accomplished what you set out to do. So good luck and enjoy! Query writing is like business writing, in that you are demonstrating that you are not only a good writer but also a professional. As such, keep your tone polite and recall the rules of business letter etiquette. If you browse through Chuck Sambino’s “Successful Queries” on the Writer’s Digest website—which I highly recommend—then you’ll see one consistency: each agent is enamored by a query letter for a different reason. There is no surefire way to win a contract other than good, intriguing writing that follows each agent or publisher’s specifications. Intensively revise and rewrite your query letter. Your query is how you get your foot in the door to display your wares (manuscript), so it needs to be a strong pitch. The best way to do this is to take the time you need to write it—not a day, not a week. Let other people read it. Get objective advice and criticism. Write multiple drafts. Polish it and love it as much as you did your manuscript. All of this effort is bound to pay off and work in your favor. Congratulations! You’ve completed your novel and have perfected it to the best of your ability. Bright-eyed and expectant, you send it out into the world, certain as anything that everyone will adore your work as much as you do. Of course they will. It’s your baby, the offspring of your mind. After some time you hear… Nothing at all. No reply, what I like to call “radio silence.” Or else a firm, polite “no.” Your beautiful baby has been rejected, or worse, ignored. Your dreams of becoming the next New York Times Bestseller are fatally crushed. Or are they? After all, you sent it out knowing that rejection was a high probability, didn’t you? Take heart, you’re in good company! We can’t all be like Terry Pratchett, whose first story was published at the tender age of 13. There are numerous rejection stories from famous, well-loved authors. 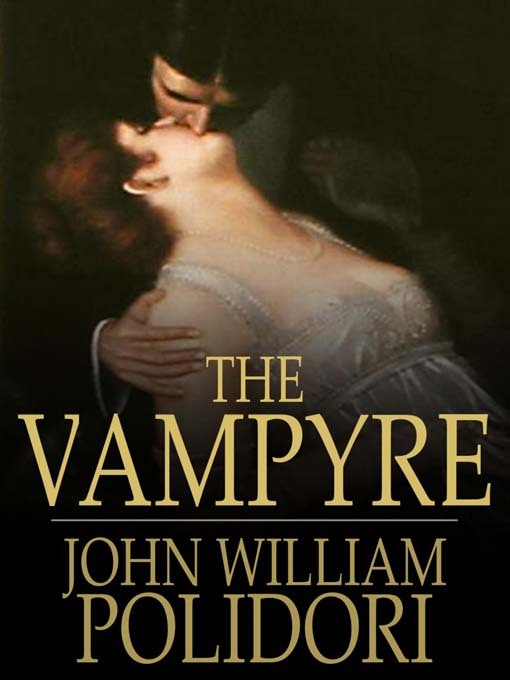 These include classics still highly popular today by writers such as Jane Austen. Do I hear a sharp intake of breath? Yes, her first 3 novels were rejected–years later, she retitled and reworked them and they were published as Pride and Prejudice, Northanger Abbey, and Sense and Sensibility. Charles Dickens’ Great Expectations was virulently rejected, as were Margaret Mitchell’s Gone With The Wind, and (incomprehensibly, to my mind) Harper Lee’s To Kill A Mockingbird. There was also Agatha Christie, who received nothing but rejections for five long years, before going on to publish 91 titles. Add to the list C. S. Lewis’ The Chronicles of Narnia and Madeleine L’Engle’s A Wrinkle In Time. Moving on to more recent famous rejections are J.K. Rowling’s Harry Potter (“far too long for a children’s book”), and Meg Cabot’s Princess Diaries. Neil Gaiman lied about his publishing experience in order to get his first novel accepted. (NOT recommended, this was done before the advent of the internet!) Are we feeling any better yet? Still, you hoped it wouldn’t happen to you, and you’re not quite sure what to do next. Well, first of all, keep going. As the wise Dr. Charles Stanley always says, “Disappointment is inevitable but discouragement is a choice.” In other words, be dauntless! You can choose to move forward, choose to persevere. Don’t get me wrong. Rejection is hard. It hurts, especially when our hopes are high. It does, however, serve the purpose of showing us how determined and dedicated we are to the craft and business of writing. Now then, how do we handle the rejection of this precious baby of yours? First, let’s keep in mind the infamous “slush piles” that many editors and agents today are facing are greater than ever before. Do the math: the number of potential writers these days has increased exponentially with the advent of fan-fiction forums, reality TV shows, blogs, etc., all combining to make people think that writing is an easy job that requires little or no attention to the craft. Publishers have received so many of these submissions that it is now virtually impossible to be published without an agent–who now receive thousands of these submissions a week. Now consider this: how many editorial staff members and agents do you imagine are sitting at their desks dealing with this influx of manuscripts? Don’t assume that publishing houses have hired hundreds more editors to read through what is, inarguably, going to be a lot of submissions that aren’t ready for the market. They haven’t. Check out the latest Writer’s Market and read through the listed publishers. Even smaller publishing houses that, a few years back, welcomed any and all submissions, are now saying, “Not accepting submissions at this time.” At the same time, agents’ client lists are filling up, meaning that they also no longer accept submissions, especially not from new authors. The reason many give for this is that they received thousands of submissions a week. So you’ve been rejected by an agent or publisher, now you need to regroup. Take a good, objective look at your query letter and synopsis. Check first for grammar and spelling errors. Next, ask yourself, does my letter pack the needed punch? Does my query and synopsis quickly and effectively get at the essence of the story? Does it sound interesting? Does it meet the necessary requirements? Then, as you’re searching for agents and editors, carefully read the description of what they’re looking for. Also, do visit their websites to examine the latest books they’ve published. Does your story fit in with others they’ve published? If it doesn’t, your query/submission will be rejected out of hand. You’ve just made it easy to “deselect” your story and move on to the next. Think of it as fishing. You wouldn’t go deep-sea fishing in a brook, would you? And you wouldn’t fish for trout in the sea. Take the time to know where you should be fishing for your story and what kind of “bait” your “catch” is going to “bite” at. Then bait your line with the best query and synopsis you can, and cast it out onto the waters. And then, be patient. You would hope, but not expect, a fish to immediately take your bait. But that doesn’t usually happen. If nothing bites in the waters you’ve fished in, move on to other waters. Do some more research on agents and publishers you haven’t yet approached. Then, send it out again. With each cast of the line, you’re one step closer to your publishing dreams. There are plenty of fish still biting out there, though at times it may not seem so. Remember, not everyone will like your writing when it is published. This adage holds true for agents and publishing companies too. That’s fine, everyone is allowed their personal preference. So, when you get rejected, decide that these were some of the few who wouldn’t have been interested in your writing anyway and keep plugging away like a dedicated professional. On the note of being a dedicated professional, do retain a level of decorum in your interactions with each agent and publisher. While today’s society tends toward more casual interactions, business etiquette and dignity remain necessary. More often than not, they show you’re serious about your craft as a business as well as a passion. Additionally, you may want to query a certain agent or publisher again in the future, and it does you no good to burn bridges before you’ve had a chance to build them! When researching agents and publishers, make sure they publish your kind of writing. Agents who accept your kind of book have the right connections to the right publishers and publishers tend to generate content for a certain type of audience. It behooves you to do your research, since it means you won’t receive unnecessary rejections. If you receive comments on a certain aspect of your writing (and this makes you lucky in the world of form rejections and radio silence!) carefully examine your writing to see if making the suggested changes is something necessary or not.